You raise a small box with a pair of lenses embedded in one side to your face, and for a couple of minutes you are transported to any of a hundred virtual worlds, each more interesting than the last. You could be shooting meteorites from the helm of your spaceship, staring in amazement as a T-Rex walks past you in search of the next meal, or looking around at strangers jumping up and down at a concert. When you pull the box away from your face, you return to your world and everything is as it was before. This is Google Cardboard, a VR platform that literally takes a cardboard box with your phone in it and offers everything from passive video to interactive gameplay. If you're not a fan of something disposable and brown, Google has partnered with dozens of other manufacturers to make Cardboard something that works for everyone. 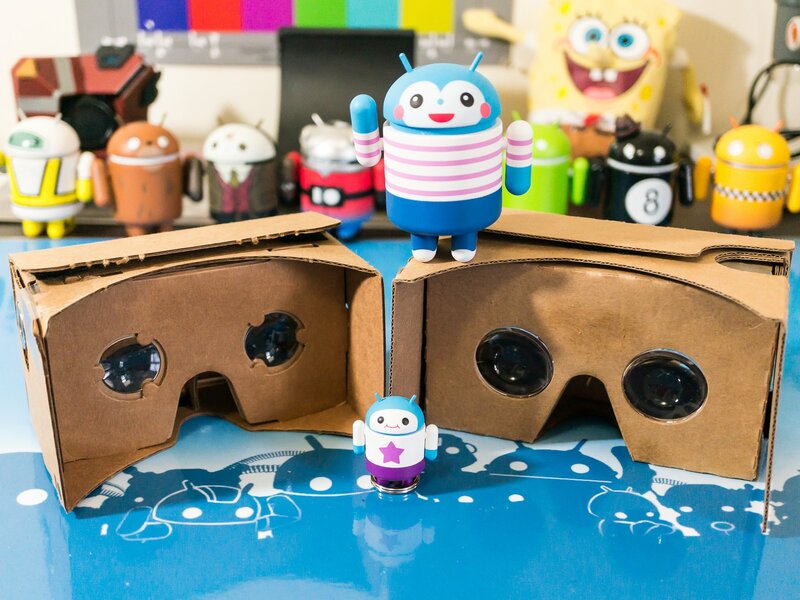 Coupled with the huge list of Cardboard-ready apps on the Google Play Store, Google has assembled an inexpensive VR platform with long-term goals in everything from interactive live experiences to education systems in schools. Netflix is pretty much the go-to for video streaming these days, but it isn't available natively on Cardboard. We look at a way to get it working for you. Should you buy a cheap VR headset? It's never a bad thing to save a little cash when you can, but sometimes you really do get what you pay for. Now almost every Android phone can experience VR on Chrome through Google's new WebVR Experiments site. A quick breakdown of the new VR greatness crossing our headsets. While Virtual Reality is frequently seen as expensive, Google's efforts are aimed entirely at making the technology available to everyone. Your jaw might drop when you realize that Oculus movies are actually a few dollars more than they are elsewhere. Thankfully, you have some alternative options. Google Cardboard viewers need a QR code to function. So what do you do if you've lost that code? Google has announced that it shipped over 10 million Cardboard VR viewers since its launch in 2014. The company also said that over 160 million Cardboard apps have been downloaded, out of which 30 apps have over 1 million downloads. CES has some really amazing products, but few surprised us more than the Holocube! If you're looking to get somewhere in the world of VR, Google and Udacity have partnered up to offer a Nanodegree program to get you started! There are hundreds of Google Cardboard apps in the Play Store, but if you're looking to try something just a little more interesting there's a PC app to check out. You can stream SteamVR games to Google Cardboard, and that's just the start of where things get fun. Homido has a big upgrade to their Google Cardboard-esque headset, and we walked away more than a little impressed.